Deborah Cracknell is an Honorary Research Fellow of the Medical School, with a primary research focus on the relationships between people and the marine environment. As an interdisciplinary researcher, Deborah is particularly interested in the influence of marine biodiversity on human health and well-being. After completing her BSc. (Hons) in Marine Biology and Microbiology at Plymouth University in 1998, Deborah worked at the National Marine Aquarium, Plymouth for 19 years. During this time, she worked in a variety of progressive roles, including Senior Biologist and Diving Officer, Environmental Manager and, most recently, Lead Researcher. Deborah completed her PhD in environmental psychology with Dr Mathew White, Dr Sabine Pahl (PU) and Professor Michael Depledge in 2016, looking at the restorative potential of sub-aquatic biodiversity. Currently, Deborah is pursuing research interests looking at the effects of different sounds on people’s engagement with underwater biodiversity, and how this influences both human well-being outcomes and conservation engagement. She is also interested in the potential benefits associated with participating in marine-related citizen science projects. 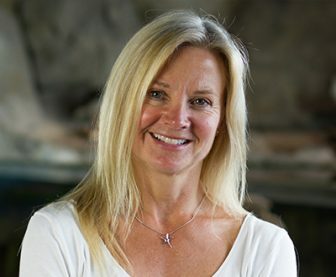 Deborah is currently a member of the following research groups: Psychology and Sustainability (Plymouth University); Restorative Environments Network (REN) – International Association of People-Environment Studies (IAPS); British and Irish Association of Zoos and Aquariums (BIAZA) Research Committee. She is also co-lead on the BIAZA Health and Well-being sub-committee.